If you have jewelry you no longer wear but would like to make something beautiful. Contact me and together we can make a wonderful tranformation! Client Anna has these 7 rings. The 2 matching wedding bands had special meaning so I kept those intact and made them the edges of the new ring. Then I took the remaining stones and made this design. Client needed a gift for a young girl's special occasion. She had a bracelet that she no longer enjoyed. So I took the pearls and made a necklace and added the girl's initial. The choice was it to be in either gold or silver and since cost was a factor the client opted for sterling. There is no limit to how different your old pieces can look. With vision they can be transformed. Client had a vintage rose gold bracelet she no longer wore. She said she would like a ring so I gently cut the antique bracelet apart and made it into this unique ring. I love to create wearable new pieces for you from those you have sitting in your drawer. 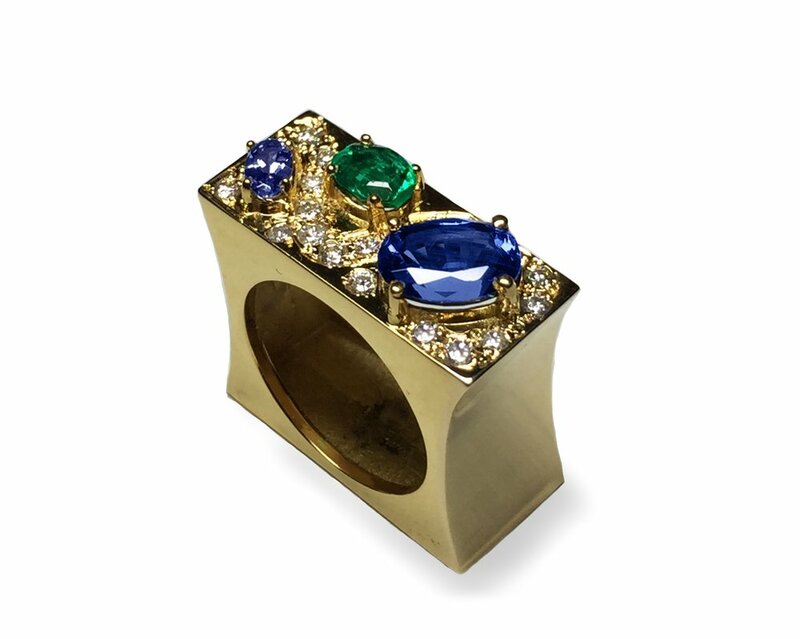 Client had this to say, " It is perfect and I love my ring." Client had a antique gold pin that she no longer wore and the tassel was turned sideways and needed repair. I suggested it would make a unique pendant. I carefully removed the two ends and took the matching gold pin and tassel loop to complete the pendant. Client's ring containing a center round diamond and 4 marquis. 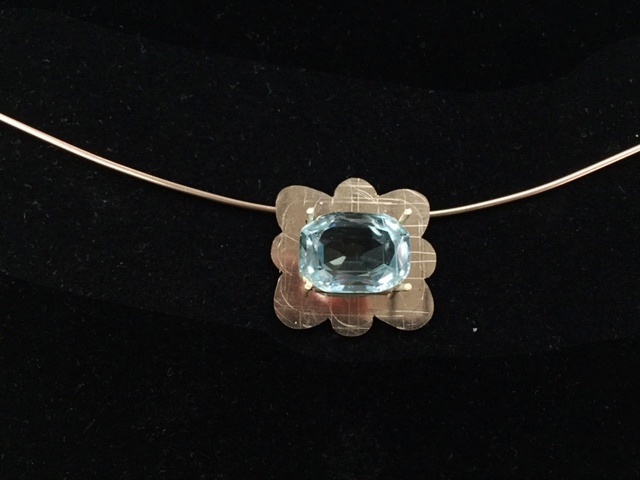 She wanted the center stone to be a simple pendant. She selected this one. I suggested if she had 2 small diamonds we could use them. She gave me this ring. Laying the diamonds on the sketch. The diamond and white gold earrings complete. See them on happy client. She said: "It is perfect and I love my ring." The client had seven rings that she no longer wore but held treasured memories. She wanted all the stones together in one piece. I created a rough sketch. She left the decision up to me and I decided to use a combination. The placement of the stones was very important. Then I had a choice on how to mix the colors of the square stones. I choose to alternate the colors. The final pendant was set in 14k gold. The customer said, "Wearing it makes me feel like Cleopatra." Customer had 2 rings, an emerald and a tanzanite ring. One stone left from the bracelet. 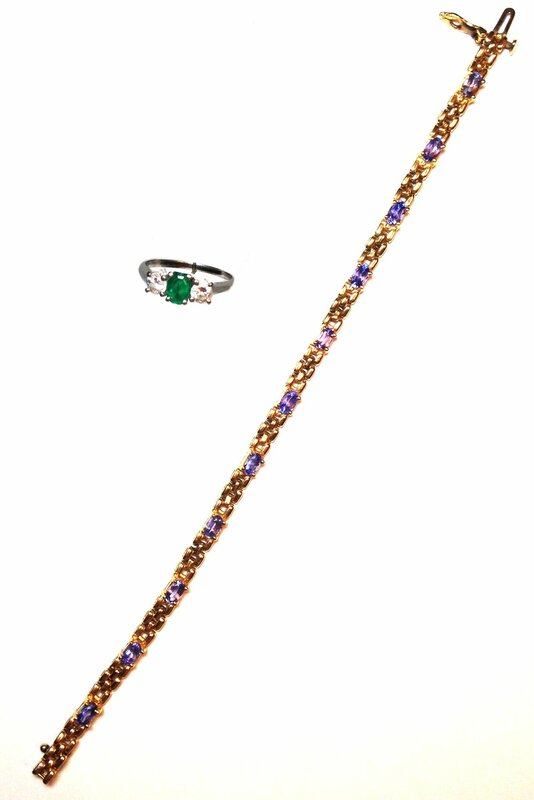 10 of tanzanite in the bracelet and the 2 diamonds from the emerald ring were used in a design of a pair of earrings. The reminder of the stones were used to create the ring on the right. A lovely delicate small client inherited this sizable ring. She wanted to use all the diamonds and I created this delicate necklace. 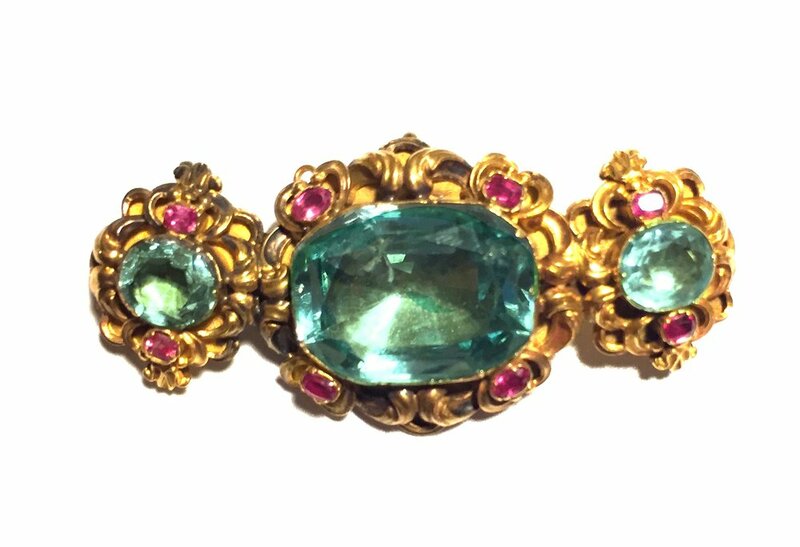 Customer wanted to separate this antique Victorian repoussé pin to make earrings and a necklace. 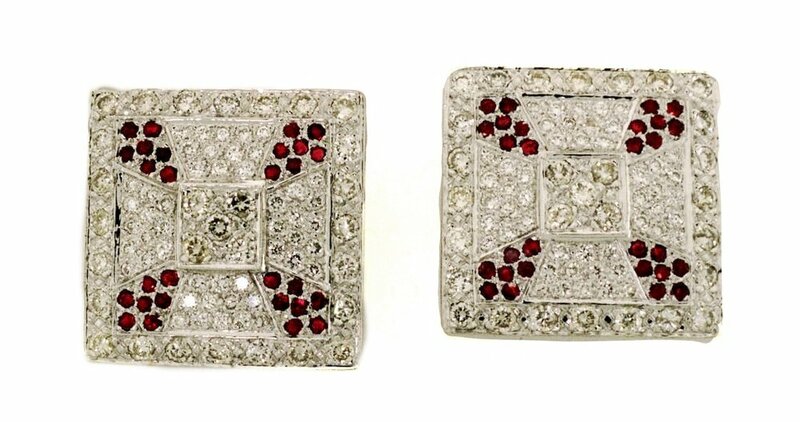 After delicately separating the two sides of the pin, a pair of earrings were made. Using the center stone the client wanted a more current necklace to update the set. 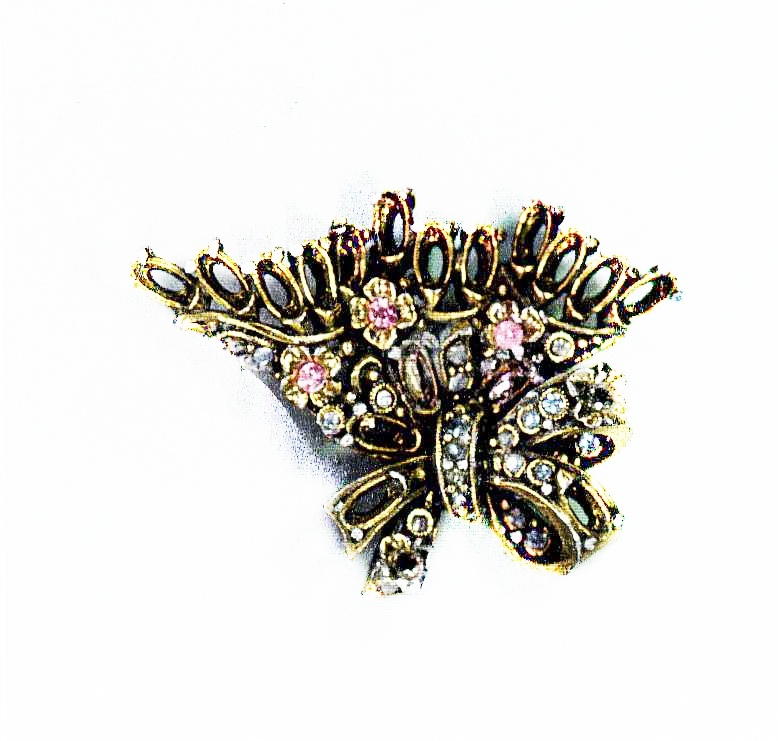 Antique pin owned by the client's grandmother and her only heirloom. I turned it into a pendant adding genuine diamonds. The new design gave the blue glass stones a youthful look. Took customer's engagement rings and earrings. Gave each of them a halo and connected them and added a chain to make a brand new necklace. Client had a antique tiara made into a necklace and she wanted a pair of earrings to match it. 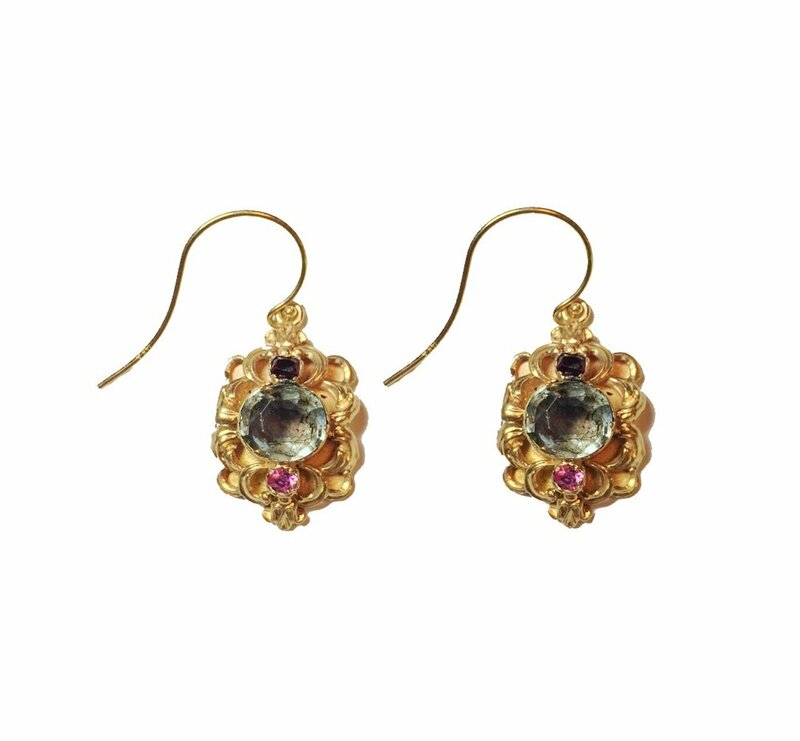 I duplicated the design of the center section and created the earrings. Client had a pair of diamond earring and she wanted something in a geometric design. We went from circles to squares and added a few rubies to create the geometric pattern. Client had a tennis bracelet that she no longer wore. She wanted her two children to have a part of it. 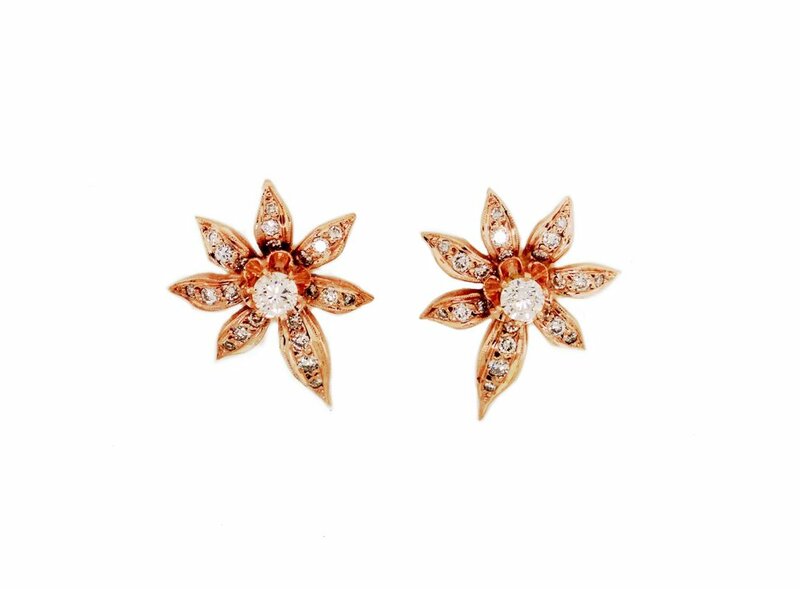 I created two identical pairs of earrings which made her very happy. With the remaining stones I created an initial which she could wear so that the entire bracelet could be used.